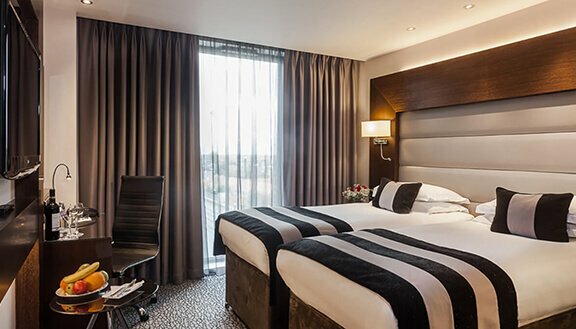 Great location with fantastic convenient connections to London Heathrow Airport and Central London makes Park Grand London Heathrow ideal for business and leisure guests. 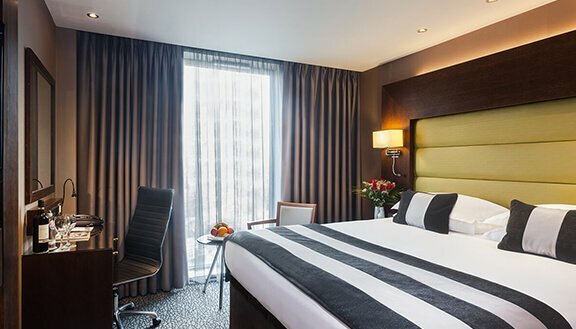 Our modern rooms are designed with today's modern travellers in mind. With an emphasis on comfort and a great night's sleep, the lovely rooms are appointed with a range of amenities. Conveniences complimentary high-speed Wi-Fi and broadband, telephone with voice mail, Flat screen plasma TV are a given. The ensuite facilities come with a choice of walk- in showers or a bath. While the ceiling to floor windows fill the rooms with natural daylight, blackout curtains are also fitted to ensure a good night's sleep. Many other little details like underfloor heating in the ensuite bathrooms make your stay experience an absolute delight.